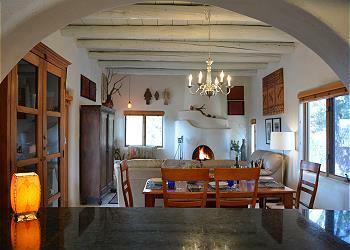 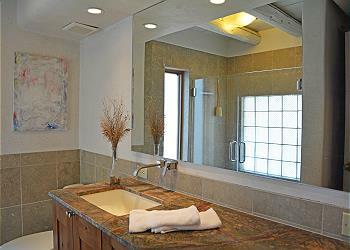 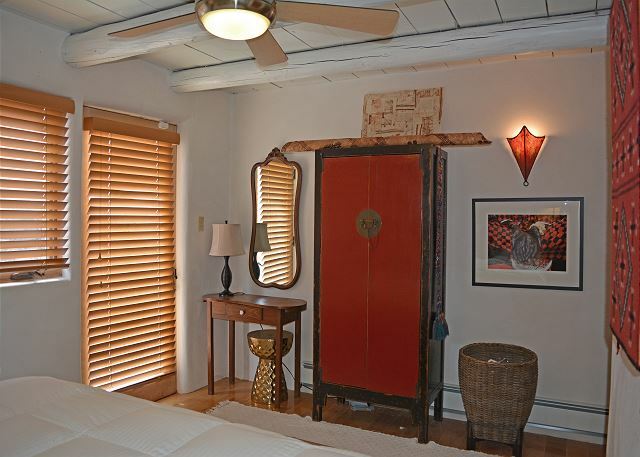 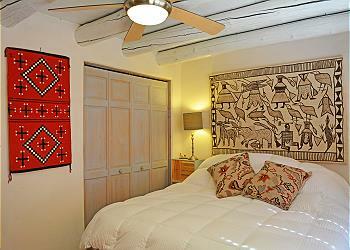 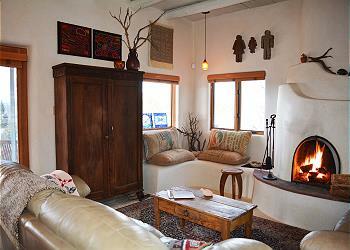 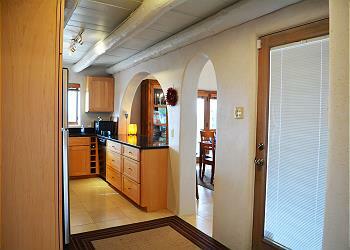 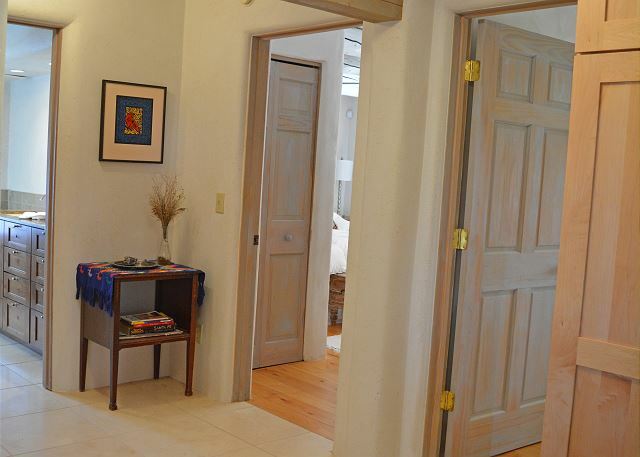 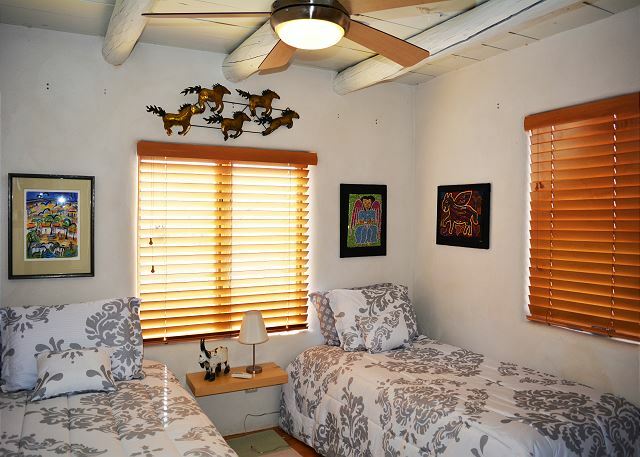 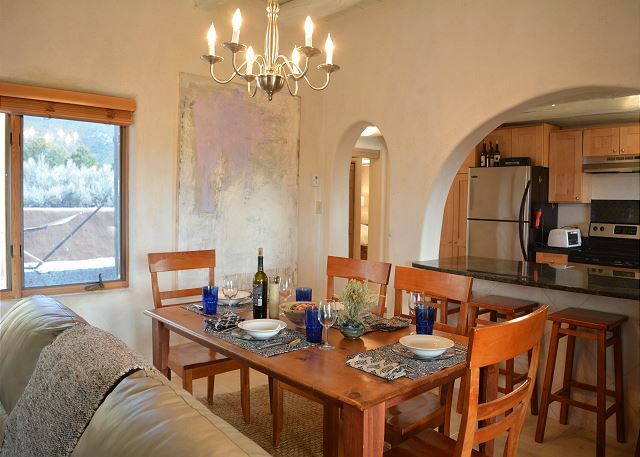 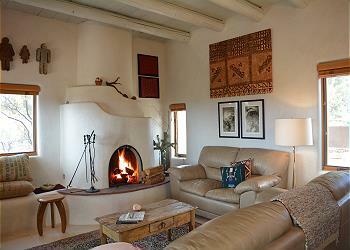 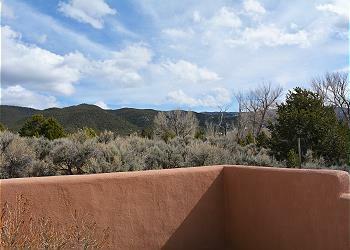 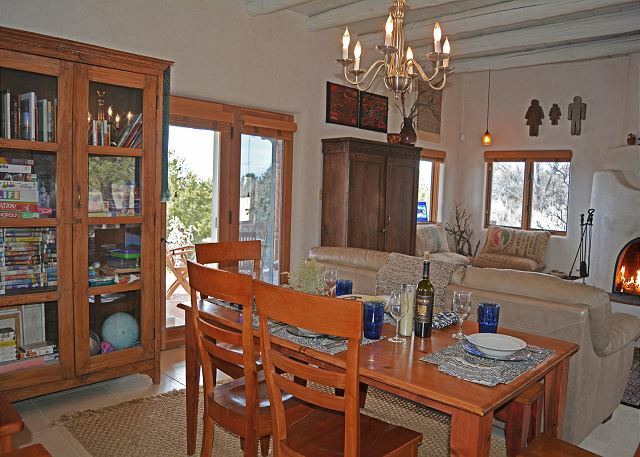 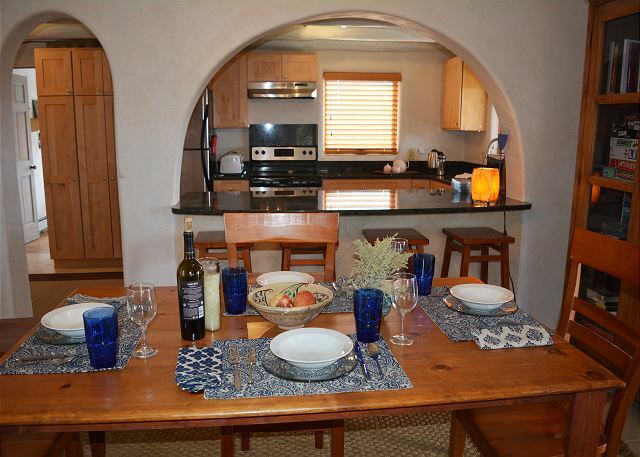 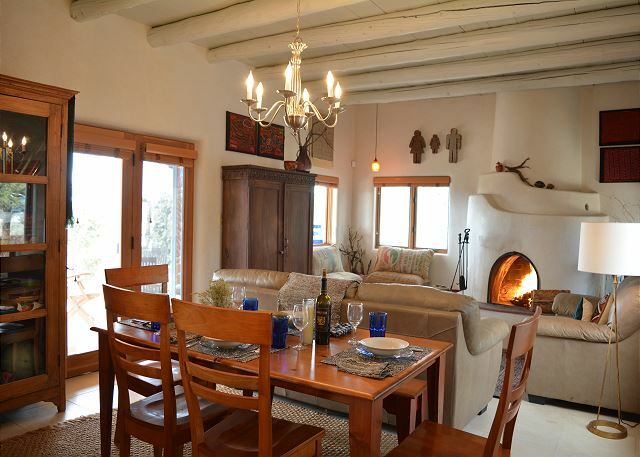 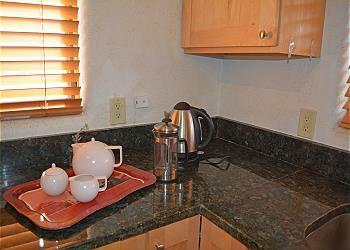 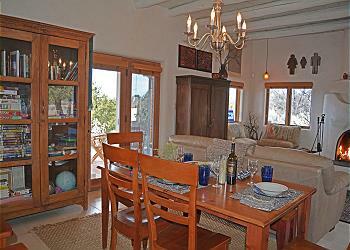 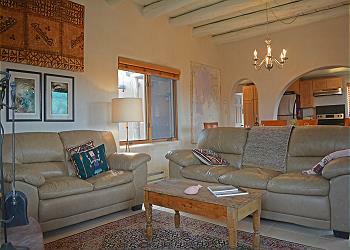 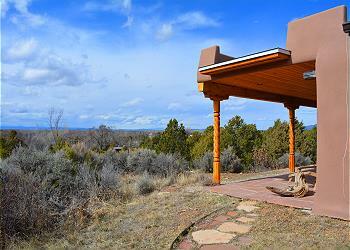 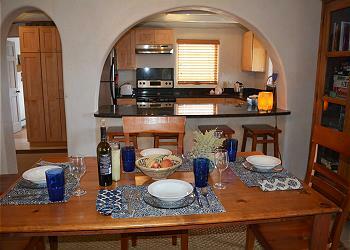 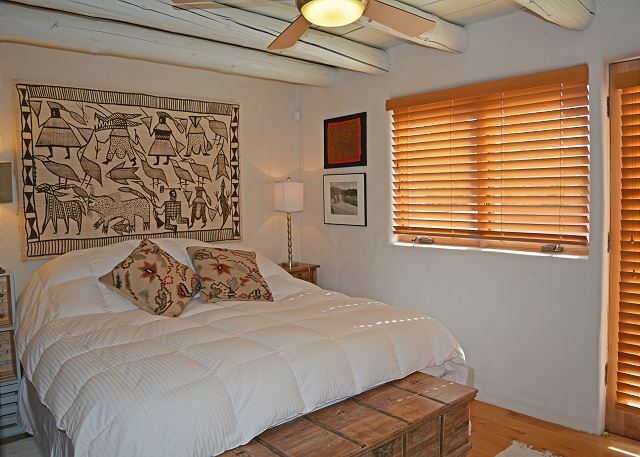 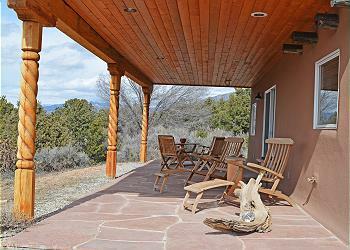 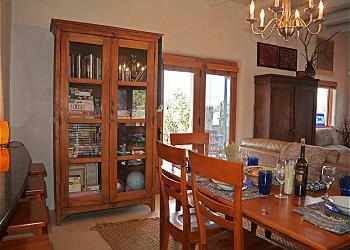 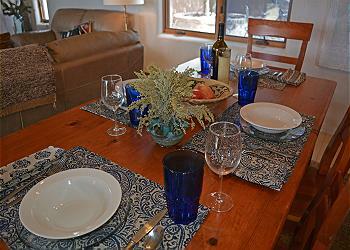 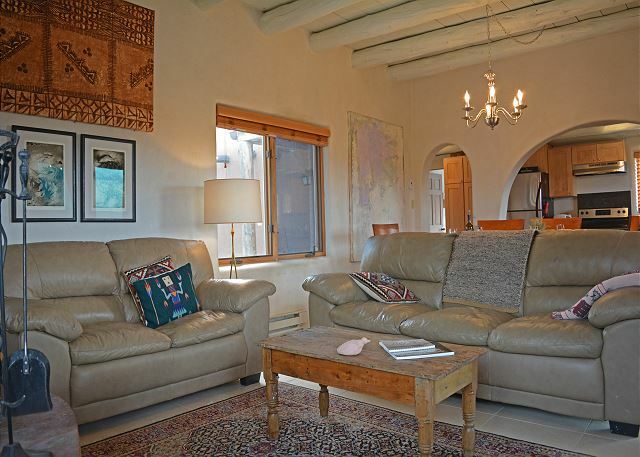 Charming as can be, perched upon a private hill top overlooking Taos village to the west and Taos Mountain to the east. 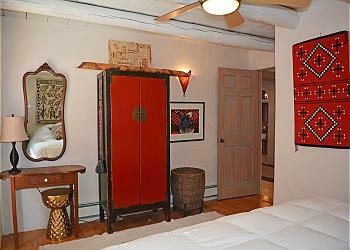 Upscale contemporary furnishings and décor. 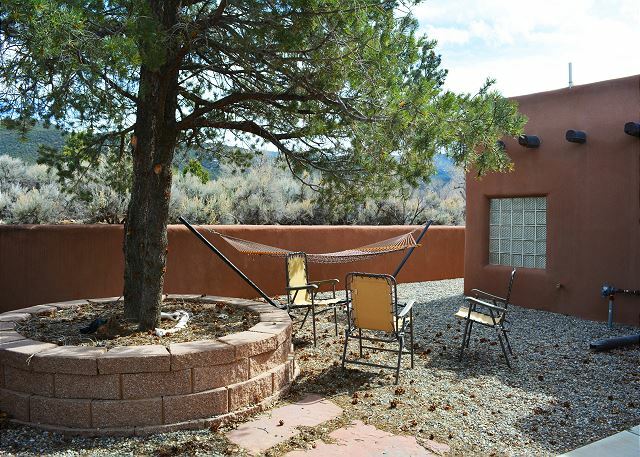 “Eagle Nest” …. Lovingly and beautifully built on an easy to reach country side hilltop setting just 1.5 miles from the Taos Plaza, is very private but not extremely secluded setting. 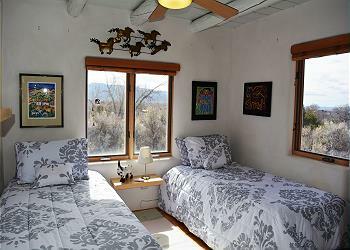 Hands down, Eagle Nest is a treasure most folks dream of and never find. 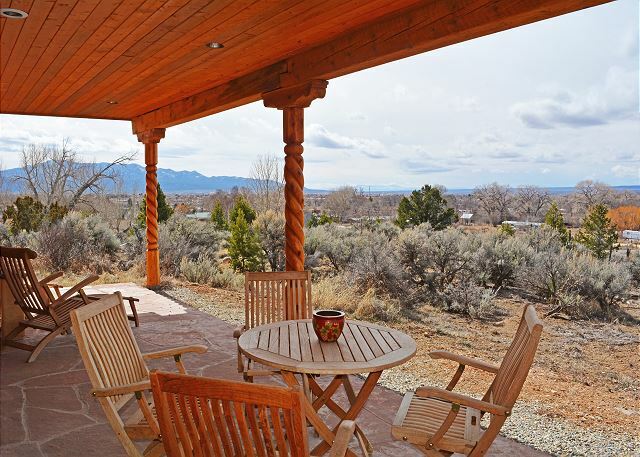 Nestled among shade trees, lilac bushes, Juniper, sage and pinion, this delightful home is furnished to the nines with upscale furniture, furnishings and exceptional art. 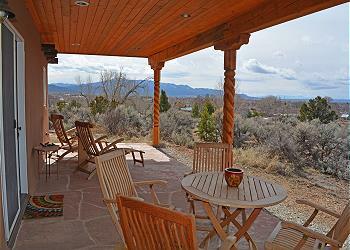 Premium mountain / valley view’s appear North, South, East and West. A well equipped kitchen is ready for the “avid chef” in your party. 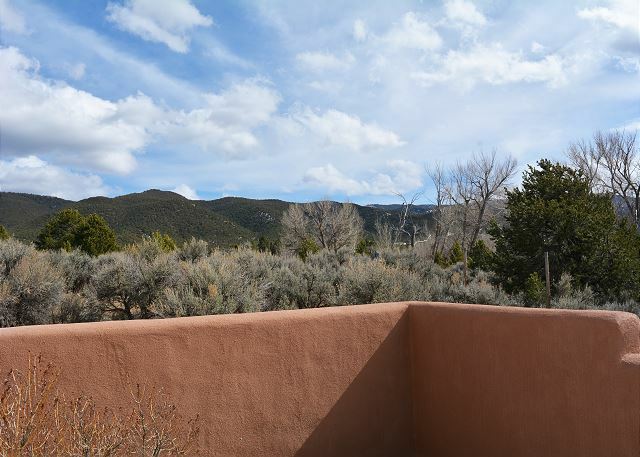 If arriving without an “avid chef”, the wonderful restaurants making Taos so famous begin less than 1 mile from this rare hilltop setting. 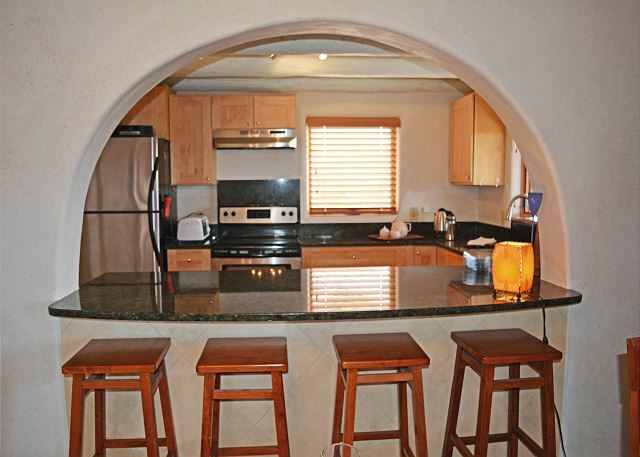 Appliances include oven/range, double door fridge, dishwasher and washer / dryer completing all the comforts of home. 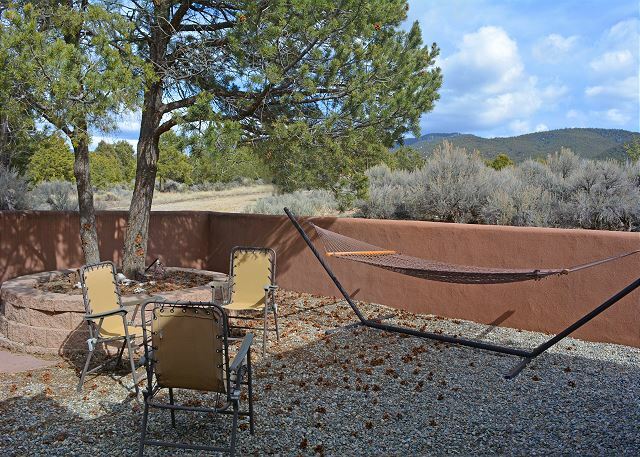 Guests enjoy the jumbo “Portal” (covered patio) that comes complete with ample lounge chairs and offers extraordinary breathtaking Taos village and sunset views. 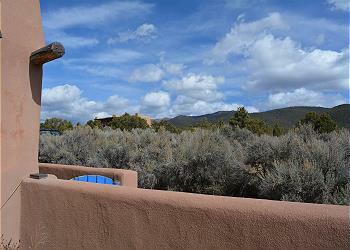 To the south and east, panoramic views of Taos mountain thrill guests morning to evening. Sunrise brings a rare and unique mystique over the silent mountain. Sunset turns the same mountain a vibrant red, thus giving the mountains their name of “Sangre de Christo Mountains”. The dramatic contemporary bathroom with large glass walk in shower and glass block window wall creates a rare and uplifting ambiance. Firewood is provided for the romantic indoor kiva fireplace and a large glass door armoire is filled with table games and many books. 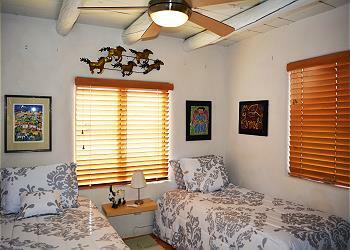 Choose to stay at Eagle Nest and experience a vacation to remember forever. 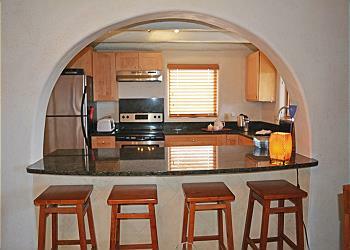 Great vacations start with great lodging and that’s our job! The home is in a perfect location. 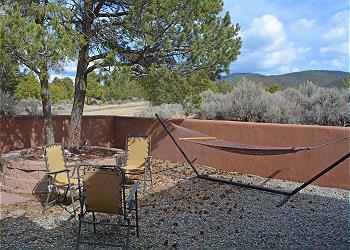 Located in a remote area, yet close enough to shops. Quaint home and was ideal for our family. We will be back.